Cheddar lived with the same family his whole life, until he was around 8 years old and one of his parents was diagnosed with cancer. They no longer had the time or resources to take care of Cheddar, and made the heartbreaking decision to surrender him to a rescue, hoping he would find a loving new home. The already senior dog had to leave the only home he’d ever known, but luckily, he was quickly adopted into the best new family. 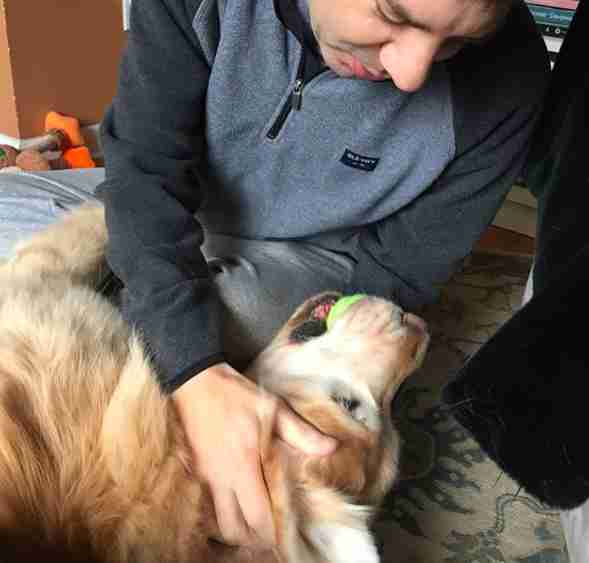 From the moment Cheddar arrived in his new home, he made it clear just how grateful he was to them for adopting him — by demanding constant attention and wanting to be around them all the time, every moment of every day. 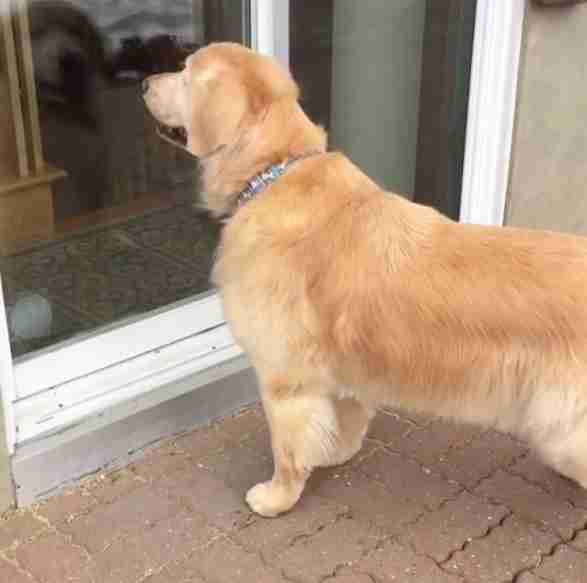 Cheddar loves every person he meets, as long as they’re willing to give him some attention, and doesn’t usually play favorites — until he met one of his neighbors, and fell completely in love. 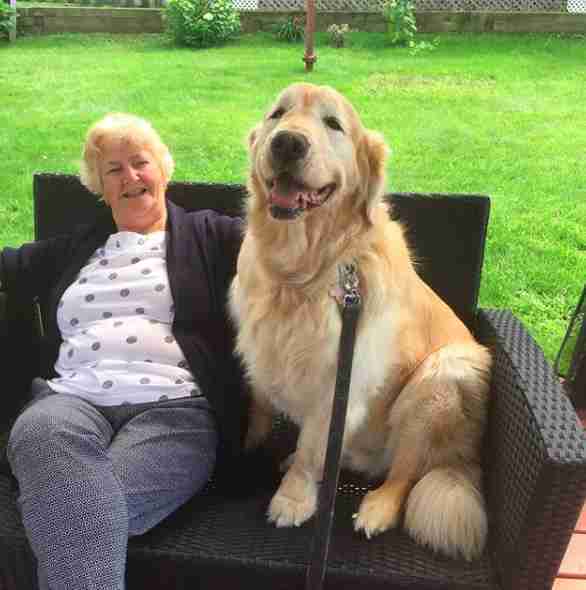 Cheddar and his mom were out for a walk one day, shortly after he was adopted, when they came across an older couple sitting on their front stoop. 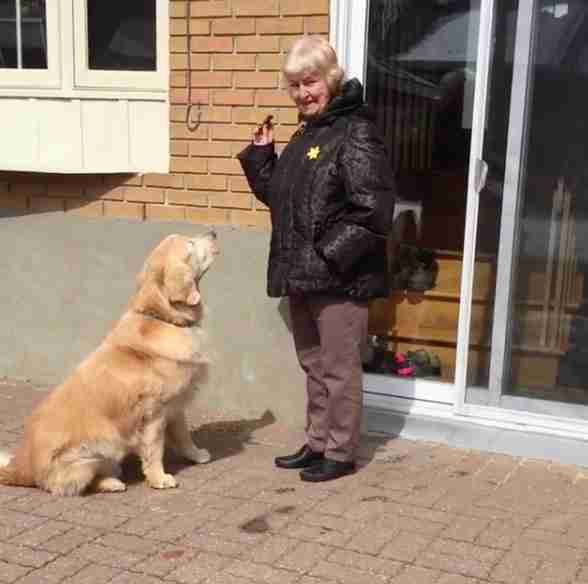 They stopped to chat with them for a bit, and Cheddar took an instant liking to the woman, Jean. They hung out with them for a while before heading on their way, and since then, they’ve gone back to visit every single day, because Cheddar refuses to have it any other way. While Jean does have cookies for Cheddar every single time he comes over, the real draw is the connection he has with her, that, for some reason, is unlike any connection he has with anyone else. 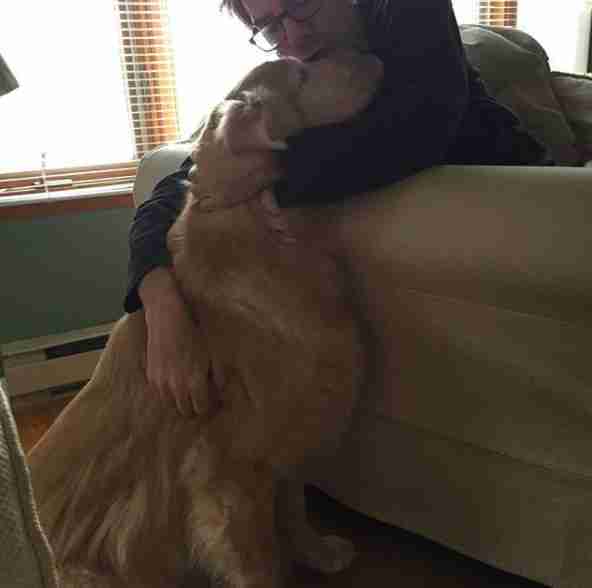 Visiting her every day brings him so much joy, and all he really wants to do on his visits is be by her side, for as long as he possibly can. Cheddar looks forward to his visits with his best friend every day, and, of course, Jean looks forward to them as well. 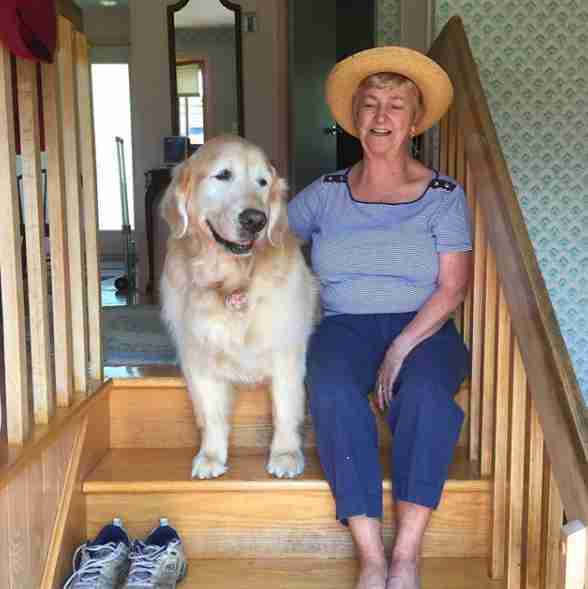 The sweet golden retriever is 11 years old now, and still has so much energy and love left to give, thanks to his incredible family, and his favorite Auntie Jean. You can follow Cheddar and all of his adventures on his Instagram account.